Let us go back in time when slots were easier to play and you didn’t have to read all the detailed instructions about its bonus features and gameplay. If you like this idea, then Bankroll Reload 1 line slot is for you. It has no expanding wilds feature and the gameplay is far easier than all the other fancy slot games out in the market today. 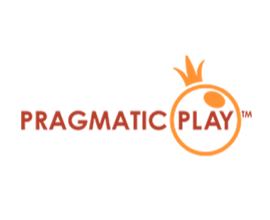 Pragmatic Play the developers of the game have already managed to establish their name in the slot market, with various other fun, entertaining and unique slot games under their belt. But with this new slot, Pragmatic Play has kept things extremely easy, which is similar to playing a board game with a 3×3 grid and a total of six symbols. Let’s find out more about this game, to see if players actually feel nostalgic with the gameplay or not. For people having troubles figuring out the gameplay of this game, you should try changing your interests. 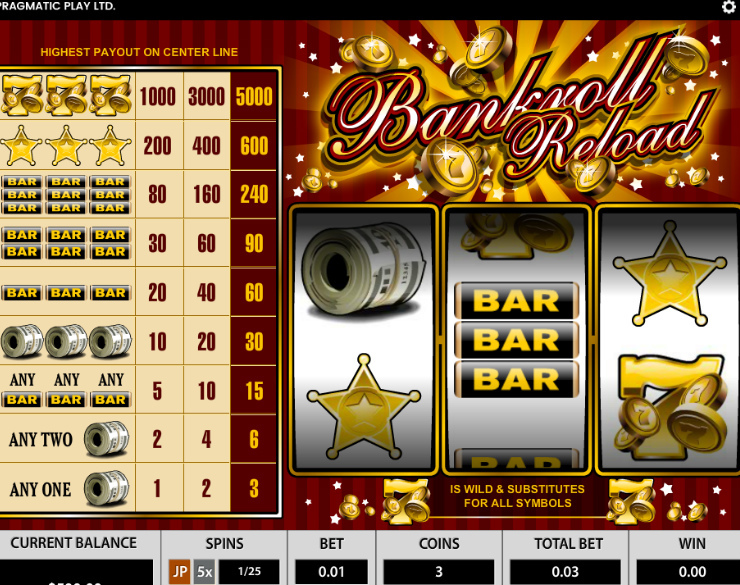 There is no other game whose gameplay is easier than Bankroll Reload 1 line slot’s. The gameboard along with the payout table can literally be combined onto a single screen for players, as there is only 1 payline to watch out for. The only two options that the player needs to watch out for are coins and bet. 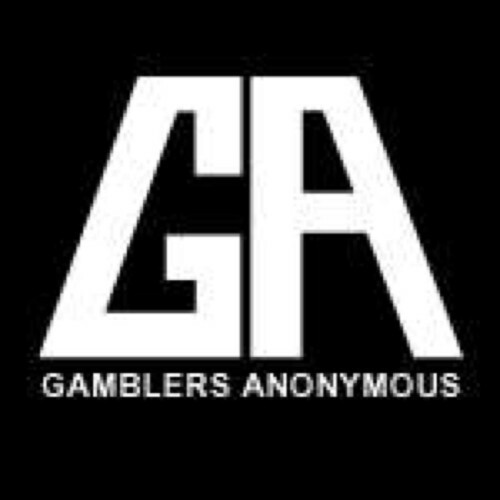 The player also has the opportunity to select their bet size, that range from 0.01 to 5.00, along with the coin size, where they can select either one, two or three coins per bet. Payouts can only be received by the player if the symbols appear on the middle of the payline, as long as any amount the size of 10 bills returns the orginal stake of the player. 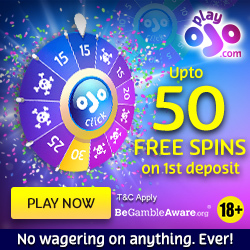 The game also consists of a jackpot, which can be won by the player if he manages to get 3 golden seven symbols, rewarding the player with a whooping 6,000 coins in total at maximum bet allowed. The main symbols that make most part of the game are six. The BAR logo makes an entry in the single, double as well as the triple version that helps boost these numbers. The graphics aren’t very visually appealing as they are minimal. But they are clear and visible with symbols that have been drawn well. The layout of the reels however, can be a little confusing. When looked at first, the reels seem to have 2 rows apiece, but when looked closely, they have 3. The small size of the gamebar makes it a little difficult for the player to separate the rows. The sound effects of the game accompany the minimalistic theme very well. The sounds are familiar to the ones that are found on a bricks and mortar machine. You’ll also notice a few minimal effects for winning combinations. There is a wild symbol in this game, but the impact of this symbol is minimal. The wild symbol in the game is the Golden 7. It replaces other symbols. But considering the fact that the player use the middle pay line, the wild symbol rarely occurs. Even if it does, it does not help the player win much. This game helps take players back in the golden age of original slot games. But it lacks uniqueness and the entertainment quotient that is provided by various modern slot games. For all those who want to enjoy the basic gameplay. And also those who do not like the hassle of understanding different features, this is the game. But for those who are seeking something new, this might not be the best of games.